Telecommunications Industry in India represents the first comprehensive study of a state-run enterprise in the telecommunications industry. The study traces over a period of half a century (1948-2009) the growth and decline of Indian Telephone Industries (ITI). At the heart of the monograph stands one central interrogation: How does the socio-technical system of production in a state-controlled firm shape the relations linking the four main actors: the state, management, union and workers? The original contribution of this book lies in combining business history and labour history within a single conceptual framework. 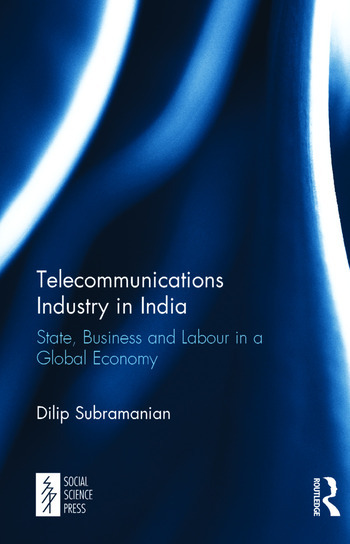 The author evaluates the broader conclusions about the telecommunications industry and public sector through the lens of an individual firm to arrive at a more nuanced understanding of the dynamics of change in the globalizing Indian economy. The work is well in command of the literature on the global business history counterparts of ITI in the telecommunications industry. It is further strengthened by the use of French material on the subject which is now accessible for the first time in English. Dilip Subramanian is Associate Professor at the Reims Management School and is affiliated to the Ecole des Hautes Etudes en Sciences Sociales, Paris.